Far from coming to an end, the controversy over whether genetically modified (GM) crops are a boon or bane seems to be getting more polarized. In this country, the two crops which are at the centre of the debate are GM cotton, which has been permitted by the central government since 2002, and brinjal. Indeed, India is now the focus of the global discourse on the pros and cons of GM crops, after the widespread introduction of such cotton. Brinjal was the only food crop that came under the scanner of the Genetic Engineering Appraisal Committee (GEAC), which gave field trials the green signal. In 2010, however, Union Environment Minister Jairam Ramesh imposed a moratorium on field trials, which his successor Jayanthi Natarajan continued. Speaking at a recent lecture in Delhi by Prof Ronald Herring of Cornell University on "State, science and National Specificity: Cotton to Brinjal in India", Ramesh expressed his disappointment over the fact that his government had failed to set up an independent biotechnology regulator, which was one of the preconditions he had laid down for clearing the brinjal variety. The most notable GM foods proponent is Food and Agriculture Minister Sharad Pawar, who had clashed with Ramesh on this issue. The new Environment Minister, Veerappa Moily, is said to fall in line with the approach of the Prime Minister's Office and Pawar in clearing the decks for the introduction of GM brinjal. At the Delhi lecture, Ramesh made it clear that he was only opposed to GM food crops and was in favour of GM technology for cotton but not necessarily the Monsanto monoculture being pursued in the country. Unlike many other developing countries, mainly in Africa, India has a more informed scientific establishment which is capable of scrutinising new crops. However, anti-GM activists believe that the regulatory system is not sufficiently qualified at best, and far too influenced by powerful seed MNCs like Monsanto at worst. Ramesh himself partly held this view, which is why he overturned the GEAC's decision. Natarajan cited a case before the Supreme Court where the petitioner questioned the competence of the committee. However, it is cotton that has led to a worldwide controversy since the epidemic of farmers' suicides in India which has been linked to it. In a long blog this January on the Discover magazine website, independent US journalist Keith Kloor attempts to expose the "GM-Suicide Myth". He refers to the thousands who protested in October 2013, in a global movement called "March against Monsanto." Monsanto is the agribusiness giant which controls both pesticides and seeds of several staple crops. The movement was portrayed as a David vs Goliath struggle, with the spectre of people consuming "frankenfoods" [after Frankenstein] looming large. In the past, Monsanto was accused of developing what was dubbed "terminator technology", which renders seeds sterile. This denies farmers the opportunity of growing their own crops from seeds they have saved, forcing them to buy seeds from the market every year. The company publicly declared that it was not going ahead with this technology after worldwide criticism. In 1998, Prince Charles, who is an outspoken advocate of organic food, alleged that by developing GM crops, scientists were entering realms that "belonged to God and God alone". Speaking at a conference in Delhi through a video link, he spoke of "the truly appalling and tragic rate of small farmer suicides in India, stemming ... from the failure of many GM crop varieties". He termed the cultivation of these modified crops "a global moral question" and "a wrong turning on the route to feeding the world". He associated the technology with "commerce without morality" and "science without humanity". Kloor reports how Monsanto's Bt cotton - developed with its Indian subsidiary Mahyco - was held responsible for the suicides of more than 270,000 farmers since the early 1990s, according to figures obtained from the National Crime Records Bureau. 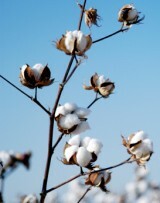 'Bt' stands for the Bacillus thuringiensis gene introduced into the cotton seeds: the bacterium, which occurs naturally in soil, wards off the bollworm pest. He traces many of these accusations to Vandana Shiva, who alleged that these "suicide seeds" had triggered a "genocide" in rural areas. Where Bt cotton has worsened the situation is by making farmers dependent on these far more expensive seeds. In a good year, growers reap a good harvest, but in a bad season, the loss is immeasurable. This was followed by Bitter Seeds, a powerful US documentary made by Micha Peled, which revealed "the tragic toll of GMOs (organisms) in India". Michael Pollan, a media professor at Berkeley and author of the best-selling Omnivore's Dilemma and other food books, asserted that this was a powerful documentary on farmer suicides and biotech seeds, which was not to be missed. Peled met Vandana Shiva at a film festival in Greece, where she suggested that he make a film on farmers' suicides in India. Closer home, Nandan Saxena and Kavita Behl made a film evocatively titled Cotton for my Shroud two years ago, detailing the plight of Vidarbha farmers, India's suicide belt. However, despite such indictment, Kloor points out that Indian farmers enthusiastically took to Bt cotton after it was introduced. It is now used by nine out of every ten cotton farmers. He says, echoing Monsanto's views, that the Bt strain required less pesticide and thus saved money for farmers. This is not quite true, however. Bt cotton has been genetically tailored to tolerate Monsanto's Roundup pesticide but can, over time, make plants resistant to other herbicides. According to Dr Charles Benbrook, a US agronomist, "GE (genetically engineered) crops have been responsible for an increase of 383 million pounds of herbicide use in the US over the first 13 years of commercial use of GE crops (1996.2008). This dramatic increase in the volume of herbicides applied swamps the decrease in insecticide use attributable to GE corn and cotton, making the overall chemical footprint of today's GE crops decidedly negative. The primary cause of the increase is the emergence of herbicide-resistant weeds." Adds Bill Christison, president of the US National Family Farm Coalition, "The promise was that you could use less chemicals and produce a greater yield. But let me tell you none of this is true." Another prominent Bt myth-buster is Professor Ronald Herring, a political scientist, who has also written articles in the Economic & Political Weekly, sometimes co-authored by Indians such as Milind Kandlikar and N Chandrasekhara Rao. He finds it strange that farmers would so enthusiastically take to a technology which is literally driving them to suicide. What further complicates issues tremendously is the fact that farmers here have developed spurious varieties of Bt cotton, which have led to lower yields than expected and caused severe distress. In April 2013, Herring organised a conference at Cornell on Indian agricultural issues. It was addressed by Anoop Sadanand, a political economist at Syracuse University, who attributed the suicides to the withdrawal of bank loans to the farm sector, following neo-liberal policies adopted by the government from the 1990s. This forced small farmers to turn to money lenders, who often charged an extortionate interest of 45 per cent. When crops failed, and they could not repay their loans, the lenders appropriated their land, which was all they had to offer as security. Rendered landless, many farmers took the extreme step. The abysmal shortage of credit is certainly a contributory factor, but by no means the only one. Sadanand, however, stressed that the failure of one crop was in no way responsible for the suicides. What is clear is that Bt cotton is not the only, or even the main, cause of farmers' suicides but definitely one among many. The cotton belt in the eastern Vidarbha district of Maharashtra has witnessed the worst of extreme events. Like contiguous areas in Karnataka and Andhra Pradesh, this lies in the rain shadow districts of the Deccan peninsula, which are notoriously prone to drought. As a matter of fact, the monsoon fails every other year, rendering all farming highly risky in the absence of adequate surface irrigation. Where Bt cotton has worsened the situation is by making farmers dependent on these far more expensive seeds. In a good year, growers reap a good harvest, but in a bad season, the loss is immeasurable. Reliance on conventional farming, and even organic farming which does away with chemical inputs, may yield less but may be more sustainable in the long run. The shrinkage of bank credit is certainly to blame, which is why when Prime Minister Manmohan Singh visited Vidarbha in 2006, he rolled out a Rs 3,750-crore special relief package for six districts, which reported the most suicides. This included a waiver of Rs 712 crore overdue as interest and rescheduling of Rs 1,300 crore agricultural credit over three to five years with a one-year moratorium. Apart from this, India, as the second biggest cotton-growing nation after China, has to compete with US cotton, which is heavily subsidised. Activists in Vidarbha also blame the poor prices for cotton paid by the government for contributing to the farmers' acute distress. The crisis which farmers in Vidarbha and elsewhere in the Deccan face is complex and it would be a mistake to single out GM technology solely for this. As Abhijit Sen, agronomist and member of the Planning Commission told Saxena and Behl, "One cannot blame only BT Cotton. It is a complex multi-faceted problem with no one-stop solution." Jayanthi Natarajan wrote to the PM: "Food security is not a function alone of food production and crop yield growth but also about poverty/development and access to food etc." At the same time, excessive claims made on behalf of GM technology . especially holding it up as a potential tool to end world hunger . have to be taken with generous dollops of salt. Previous hype . including a Time magazine cover - about "golden rice", with its promise to end malnutrition through the insertion of vitamin A genes, has come to naught. While Bt cotton may have rendered Indian farmers susceptible to the vagaries of the market, when it comes to edible crops like brinjal, the precautionary principle ought to apply. It is not for nothing that most EU countries ban such crops and require that imported goods should be clearly labelled. According to Doug Gurian-Sherman, senior scientist for the food and environment programme at the Union of Concerned Scientists, a US advocacy group, genetic engineering for insect resistance has provided only a modest increase in yields since the 1990s and drought-resistant strains have only modestly reduced losses from drought. Moreover, conventional cross-breeding or cross-pollinating of different varieties for desirable traits, along with improved farming, are getting better results, boosting yields at a lower cost. In fact, much of the food Americans eat has been genetically modified by those conventional methods over thousands of years, before genetic engineering even came into practice.